It hasn’t been a nice summer for “Green Lantern,” a movie with a budget over $200 million. It had such high expectations that it won a Scream Award for “Most Anticipated Movie,” which was given to the movie’s star, Ryan Reynolds. The result at the box office … well, it wasn’t as green as we thought it would be. I don’t believe there is superhero fatigue. Every year there are half a dozen or more horror films and comedies. Superheroes have become a genre of their own and, if you deliver, there’s an audience. [I want it to be] a little darker and edgier with more emphasis on action. Well, we have known since a year ago that a script exists from the same writers of the first movie for “Green Lantern 2.” So while it’s not much, it’s a good sign to hear at least an update on the project. I went to see it on the premiere in Sweden and I must say that I don’t get what all the writers who gave the movie such negative reviews are talking about. The movie was exactly as I had hoped for since we saw the first glimpses of it and, personally, it’s the best movie I have seen in the theaters in 2011. 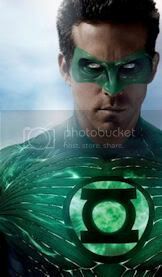 If there is any movie that should be given a second chance, it’s definitely “Green Lantern.” It looks like Warner Bros. will be working hard to see what they can do better to make our hero in green shine once again. Besides, after seeing the after-credits scene, I think we need a sequel to see the story continues. “Green Lantern” is currently in theatres in 2D and 3D. Do you think “Green Lantern” deserves a sequel? Let me know your thoughts by hitting with your comments to the right. Tags: "Green Lantern", Ryan Reynolds, Warner Bros. I agree on making the sequel a little darker but I disagree on putting more emphasis on action. I vote “yes” on a sequel. Tone was not the problem with the first movie. The horrible script was. Fix that. Being “darker and edgier” is a lazy way to compensate for deeper problems.